DIY Tic Tac Toe Outdoor Game ~ Super Easy and Cheap to Make!! Hi Friends! Summer is coming and it’s time to get outside and enjoy the nice weather!! We have been updating our backyard for a while now. One of the things I wanted was some outdoor games that anyone could play. Last year I made a DIY checkerboard but I wanted a few more. So, I decided to flip the board over and make a super easy and quick DIY tic tac toe game! Since this project is so quick (under 15 minutes! 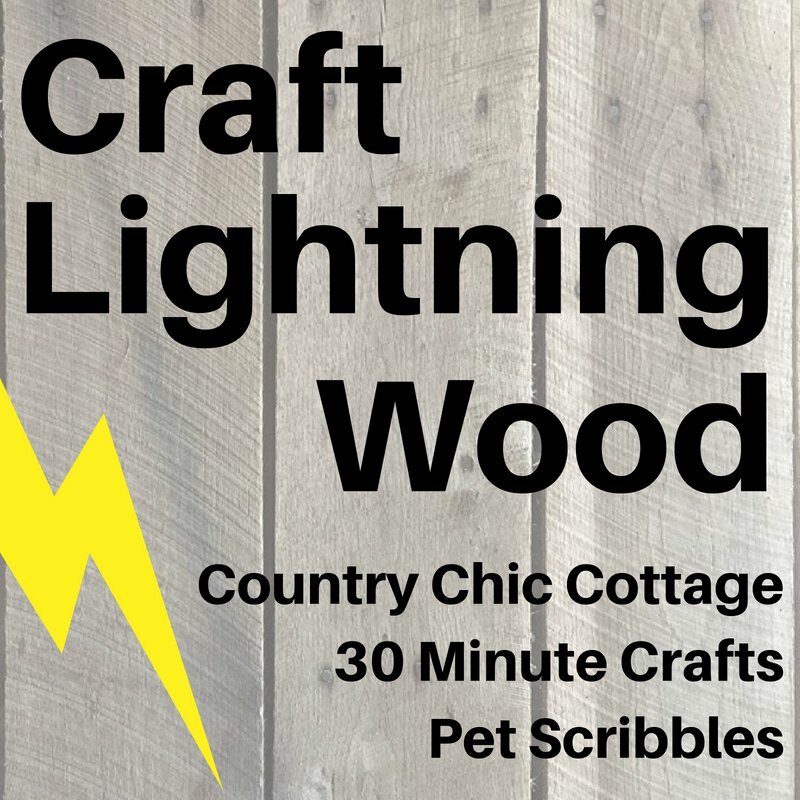 ), it’s part of the Craft Lightning Wood Challenge hosted by Angie at Country Chic Cottage, Carolina at 30 Minute Crafts and Laura from Pet Scribbles! Make sure to check all their amazing projects out on their sites! wood – I have a bunch of random wood that people give me. Mine was 22×22 inches or so. It’s not pretty by any means, but it doesn’t matter!! It’s only sitting outdoors and will get worn by the elements, so whatever you can find for cheap, use it! Once you have your piece of wood, sand it with an orbital sander or by hand. I used 120 grit and then 220 grit. Like I said, my wood wasn’t pretty! Once that’s dry, take a ruler and draw your tic tac toe lines. I drew the lines in pencil and then traced back over them with a silver sharpie marker. You’re all done with the wood part! Easy peasy, right?? Now, you can use whatever you want for the X and O pieces. We just grabbed some rocks. I received a few bottles of Plaid’s new marbling paint at a conference I attended and wanted to play with them so we marbled some rocks. Super quick!! Just squirt the bottles on the rocks and let the paint do the work! Make sure to put some wax paper or something under the rocks because it’s messy! Once I had a few colors on the rocks, I used a toothpick to zig zag the paint a bit but this is totally optional. Once they dried, I used a Sharpie paint marker to add an “X” on top of the marbled ones (let it dry) and then I brushed on a layer of Mod Podge to seal it. For the other rocks, we just drew an “O” on them. Now, set up your board and you’re ready to play! If you flip my board over, you can also play checkers or chess! Check out my full tutorial on how to make a checkerboard here! My little guy loves playing with the DIY tic tac toe game board (and he’s pretty good at it!!!)! I even have room for my matching marbled wine glass! Click here to see how easy it is to paint a wine glass! If you like building stuff, check out how I built this coffee table/ storage bench! It holds a ton of stuff and great to put our feet up on! If you’d like to save this idea for later, you can PIN it now if you’d like! Hi Laura, thanks so much!! We love outdoor games! Thanks for joining in!